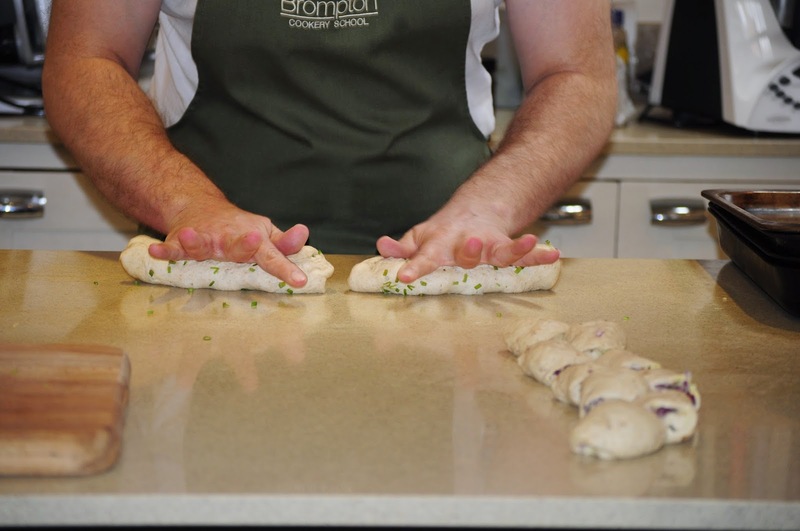 I had the pleasure to meet Robert Swift, a 5th generation family baker from Richard C Swift Ltd in Shropshire at the Brompton Cookery School recently. Rob is clearly an incredibly passionate man when it comes to yeast, dough and bread. Looking at his lineage, you really can say that it’s in his blood! We were given a potted history of the family business which is traceable back over 150 years to his great-great-great aunt, Hannah Swift, when she began her bakery in 1863. Long before the commercial bakeries with their artificial proving methods were ever thought of, this innovate and hardworking lady was producing bread using only four simple ingredients; flour, water, salt and yeast along with a fifth secret ingredient; a huge pinch of love and passion. Something that is the ethos of the business still today. You’re introduced to the family line in Rob’s book, ‘Born & Bread’, starting with Hannah and continuing through to Rob today who has introduced a sixth generation into the business in the form of his two children, who will no doubt grow up with the family passion and continue to grow the business and traditions into the future and beyond. Along with his wife, Lucinda, he has also developed a new company, Bread2Bake, which provides master classes and services an ever-growing number of farmers’ markets, food festivals and other shows with demonstrations. 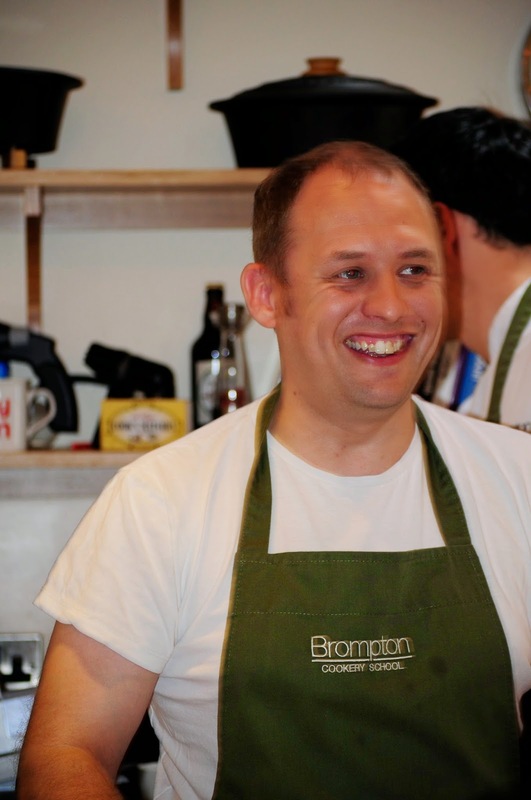 I was lucky enough to have front row seats to one of Rob’s masterclasses as part of the BBC Good Food Show Midlands Blogger event at Marcus Bean’s Brompton Cookery School in Shropshire in May. 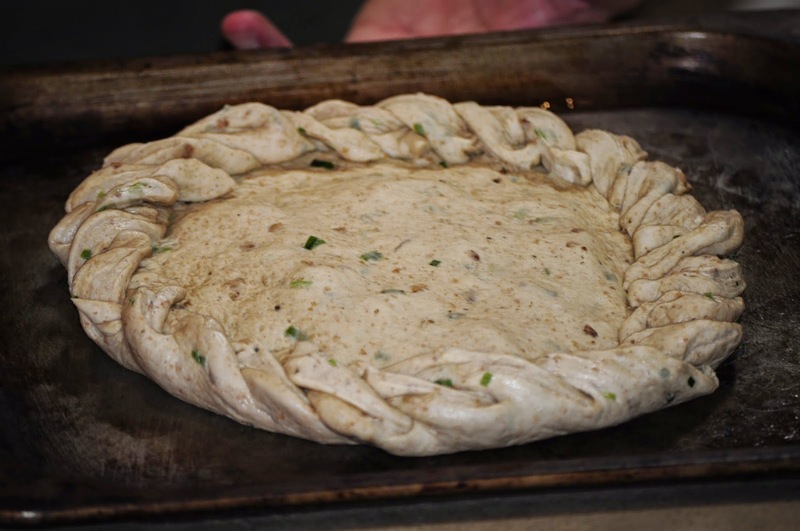 After a very early morning in the bakery, Rob brought along some of his prepared dough and introduced us to the methodology of creating a dough that would rise every time with only the simplest of ingredients. He then went on to teach us how to shape and flavour the dough to produce an artisan loaf that was truly delicious and perfectly turned out. 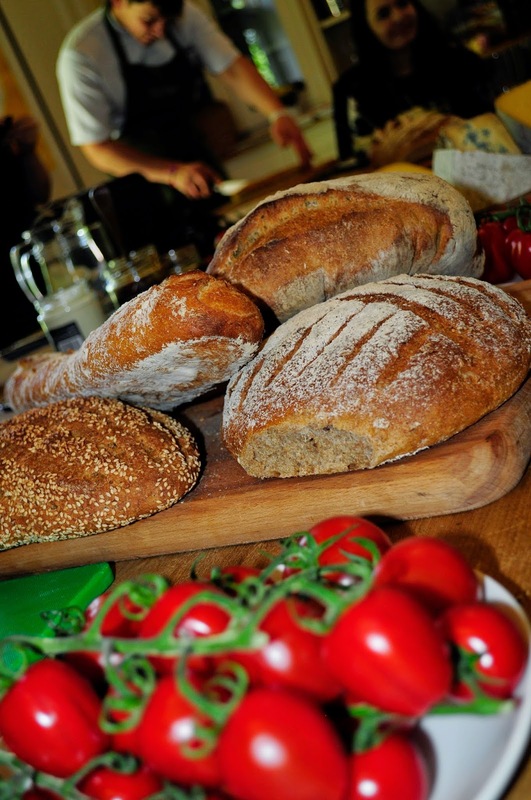 We were treated to a host of different breads that Rob had made for lunch to go with the amazing quiche that Marcus made for us, along with British tomatoes and other delicious artisan foods from stallholders that would be attending the BBC Good Food Show, Summer 2014. In the book, Rob introduces you to the life of bread, through the stages of Infancy, Adolescence and Maturity, helping you to understand what goes on in each of these stages to produce the perfect loaf. It includes the mandatory section on ‘Tools of the Trade’, none of which are expensive or difficult for the beginner to get hold of. It then gets into the science of bread and ‘The Gluten Framework’ which (as an inner geek) is fascinating and insightful to understand, but of course you don’t have to be a geek to read and understand the book as it’s beautifully and very clearly illustrated with photographs throughout. You’re introduced to each ingredient thoroughly and taught their function in the chemistry of baking the perfect loaf. Then on to the important part of the book – the recipes. From a basic white dough and how to create, nurture, check, prove, shape and bake it through to the wholemeal loaf, via Brioche, Focaccia, Iced fingers, Ludlow Brewery beer bread, Pain au Chocolate, Poolish starters, Savoury Breads, Soda and Sourdough breads and sweet breads and cakes. In all a whole cacophony of 160 pages of delicious and totally mouthwatering creations. Rob, Sir, I salute you and your heritage. Thank you for bringing your passion into the kitchen and from your heart to those who are lucky enough to witness it first hand. Here’s to the next 150 years business for you and your family. 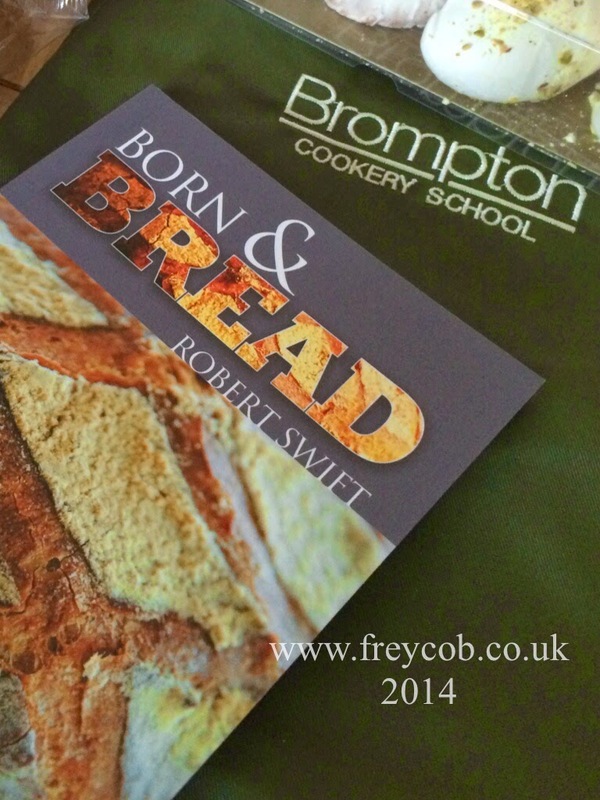 I was given a copy of Robert Swift’s book, Born & Bread, free of charge as part of the BBC Good Food Show Blogger event. I was not under obligation to review it, positive or otherwise, but am genuinely impressed at the content.